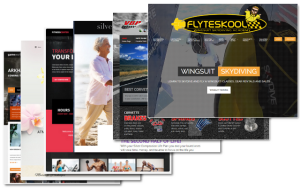 If you’re a business, you need a website. Not just any website, but one that generates traffic, and converts into sales. Geek to You has teamed up with the best web developers in New Hampshire, and can build you a brand new website that will give you a return on your investment. Building a website doesn’t have to be complicated or expensive. We use CMS websites such as WordPress and Joomla! that have incredible features, and combine content writing and graphic design to weave a ‘story’ about your company, while informing your audience about your products, services and advantages to doing business with you. Our content writers will work with your existing marketing content (if any) and write new content for every page of your website. Our writers are well versed in American pop-culture, marketing psychology, and clear calls to action that create excitement, and interest in your product or service. Search Engine Optimization is a key factor in our writing, keywords, anchor tags and site structure that search engines and human eyes love. SEO is a great start to optimize your website, but you still have to let them know you exist. That’s where we come in. Our Search Engine Marketing and Placement is much more than just selling you Adwords, we specialize in organic search engine placement through XML Sitemap submissions, Directory Listings, search engine submissions and back-link building. We’ve been building e-commerce websites since 2001 and have used almost every e-commerce software on the market, from OSCommerce to WooCommerce to Virtuemart. We’ll help you choose the right e-commerce solution, design it to your specifications, even program shipping, merchant services and products if you need us to.